Besides an Antarctica cruise, an Ulva Island guided walk may be the closest Alan and I will get to the end of the world. As we stand on the beach, gazing at the scenic Pacific Ocean view, the guide tells us that if the water sweeps us away, Antarctica will be our next destination. That’s a chilly thought. Getting to Ulva Island: Where is it and how did we come to be here? Ulva is a small island off Stewart Island. That doesn’t tell you much does it? Stewart Island—and Ulva—is as far south as one can travel in New Zealand, unless you’re on an expedition cruise to New Zealand’s sub-Antarctic islands, on the UNESCO World Heritage List. Located 20 miles across the Foveaux Strait from the end of the South Island, Stewart Island is home to about 360 permanent residents who live at Halfmoon Bay, also called Oban. The Maori people know Stewart Island as Rakiura, the land of the glowing skies, aptly named for the island’s vivid sunsets and the aurora australis, the Northern Lights’ southern sister. Unfortunately, we didn’t see the Southern Lights on this cruise, but we did enjoy spectacular sunsets (and sunrises). We like wearing convertible pants and shirts on hiking excursions in temperate rainforests. If the clouds sprinkle a few raindrops or the humidity causes dampness, we’ll dry out quickly. I tuck my iPhone into a pants pocket when I’m not taking photos with it. Yes, I bring a camera and an iPhone. 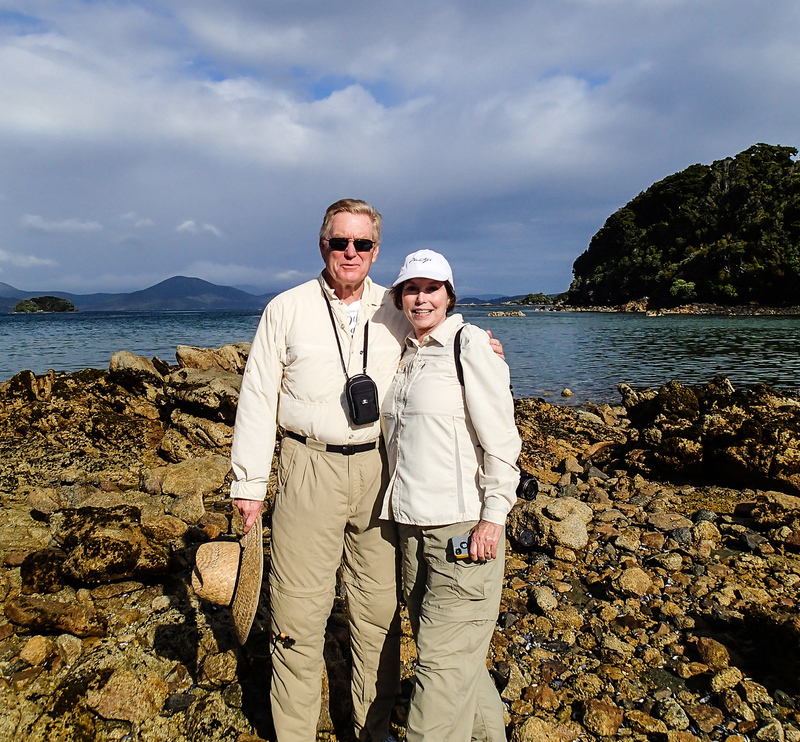 Alan and I arrive at one of the remotest spots in New Zealand on a 62-day South Pacific cruise with Silversea Cruises. 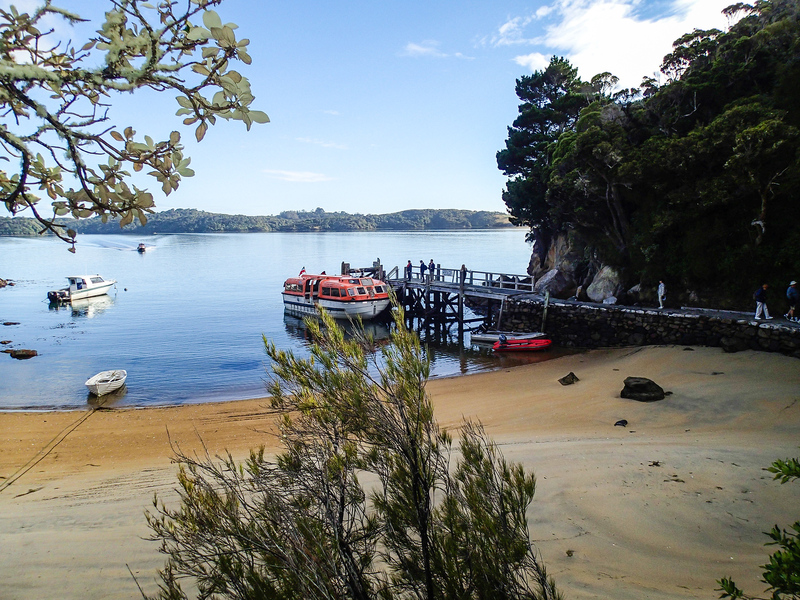 When considering the best thing to do on Stewart Island, we agree on an Ulva Island guided walk to explore the small portion of Rakiura National Park located on Ulva. 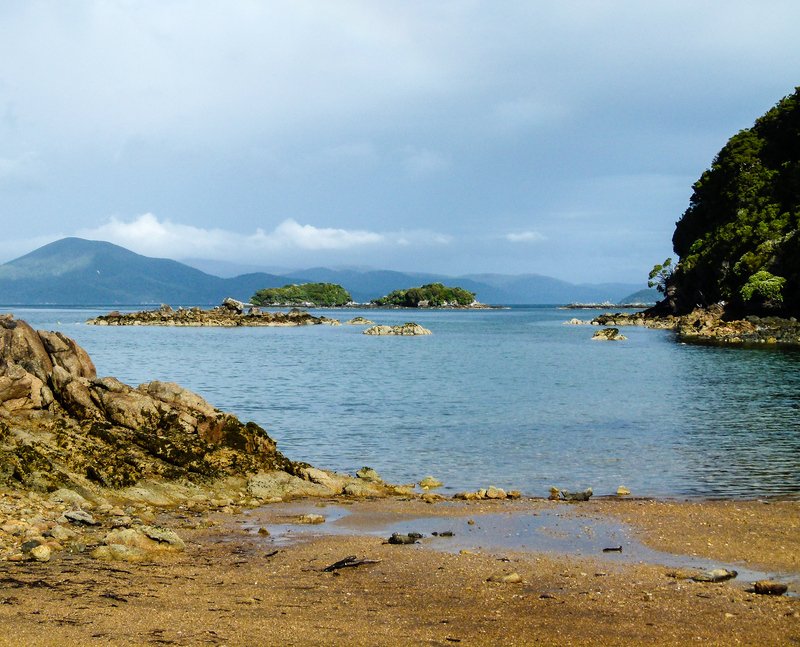 You’ll find most of Rakiura National Park on Stewart Island. A 10-minute tender ride transports our Silversea cruise excursion to Ulva Island and the beginning of an active boomer travel adventure. The Maori people call it Te Wharawhara. A tour leader splits the group into two—one for fast walkers and the other for those who need to take it slower over the undulating terrain. We choose the faster group. The forest on Ulva Island includes a thick understory of ferns. 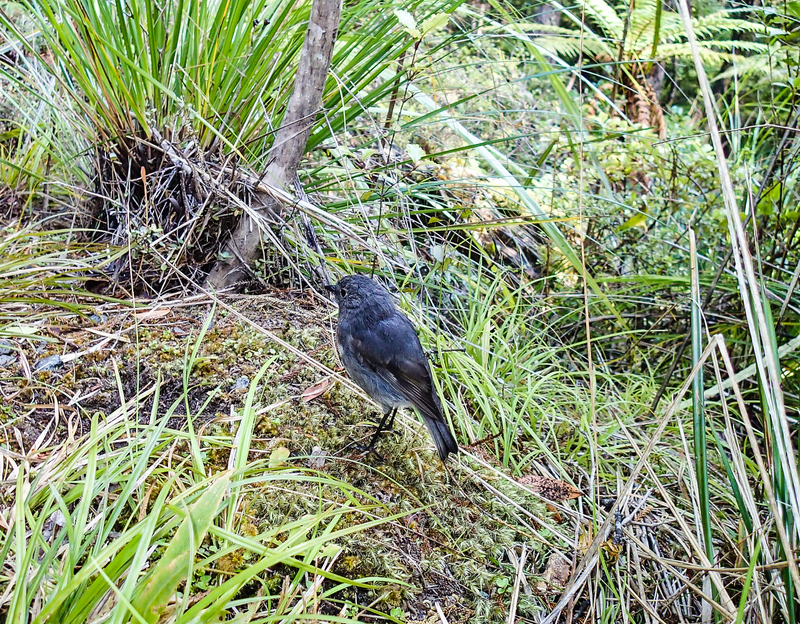 For the next two hours, the group walks through an unspoiled temperate rainforest that’s home to diverse and abundant birdlife, including rare species such as kiwi, saddleback and yellowhead. An Ulva guided walk offers the rare opportunity to experience a pristine natural environment. The island has never been logged, and is mostly unchanged by human habitation. Birds thrive because no animals have been introduced to the island, with the exception of rats. But a vigorous rat eradication program rendered the island pest-free in 1997. Sometimes, the birds are on the ground rather than in the trees. The sounds of birdsong, chirping and birdcalls fill the air as we walk the well-maintained hiking trails. Although hilly in spots, hiking poles aren’t necessary. And there’s no need for hiking shoes, tennis or walking shoes will do just fine. Ulva Island’s flora is just as impressive as its fauna. Large ferns create a thick, green understory—a lush habitat for all those birds. The thick bush also makes it hard to spot them. The guide explains the geology of rocks on the beach. Our Ulva Island walk moves at a moderate pace. The guide stops to lecture about birds she spots along the way or the geology of the rocks on the beach. And the trails bring us to several beaches where there’s time for exploring. I particularly like the mix of forested trail and open beach. It’s like having the best of both worlds. One of the scenic beaches on Ulva Island. After the sea days on this cruise, putting our feet on the ground offers a welcome change. It’s also a much-needed opportunity to be out in nature. Did you know that a walk in nature is even better for your health than a relaxing day at sea? 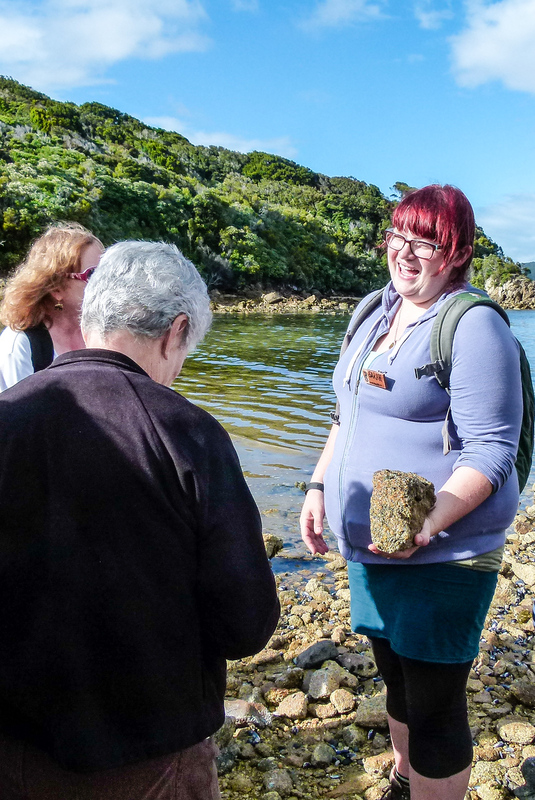 If you’re looking for a Stewart Island cruise excursion, I highly encourage active boomer travelers sign up for the Ulva Island guided walk. After tendering back to the ship, Alan and I enjoy a quick lunch before heading back to Stewart Island for some independent exploring. The hilly walk into Halfmoon Bay gives us the chance for more exercise, another scenic view, and to imagine what life is like at the end of New Zealand. It may not be the edge of the world, but close enough. 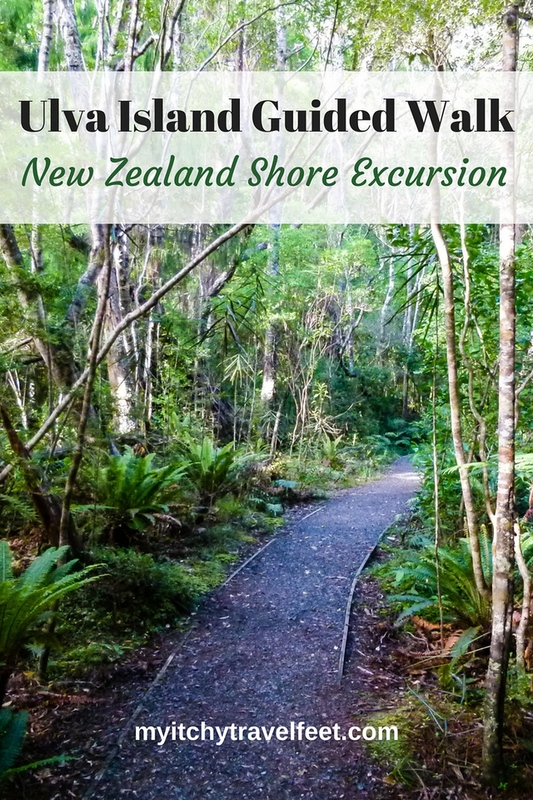 Thinking about an independent trip to Stewart Island? Start your hotel search with us. 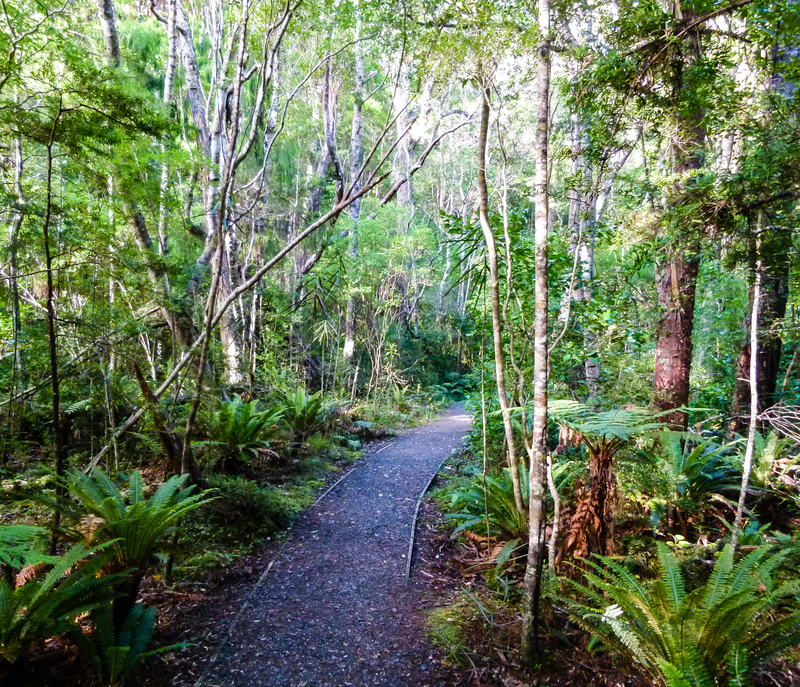 Did you take an Ulva guided walk on a trip to New Zealand? Come join the conversation at the My Itchy Travel Feet page on Facebook. Or send us an email with your thoughts.